My two-year-old Maltese was looking a bit shabby last week, and I figured it was time for a change. Cotton needed a haircut, but where to go? I asked my friend if she knew of a good place, and she nodded ‘yes’. “You should go to Okinawa Pet Food at the Hamby area in Chatan,” she told me. She said they were top notch in the grooming business. I took Cotton to the OPF Hamby store, where we found ourselves in for a long wait. We had not made a reservation, had to wait two hours. It could have been avoided, a staff member told me. “Call for a reservation ahead of time,” was the admonition. Another piece of good advice was that faster service is often available at the OPF Naha main store. Still, the service was friendly and courteous despite their busy schedule. 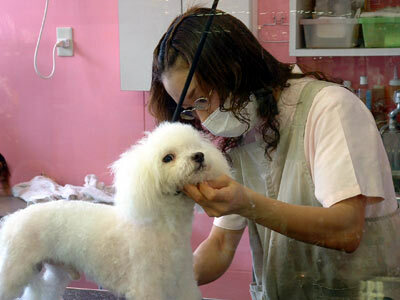 I quickly realized many people had already discovered how super the OPF grooming and sitting services were, and decided to make the trek to Naha. Good advice, as I found out. 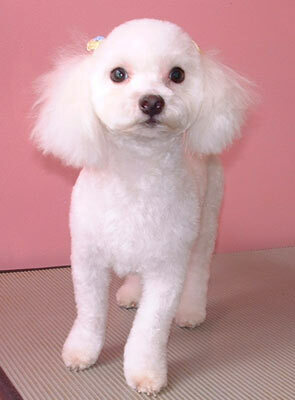 Izumi Kinjo, the Naha store’s chief groomer, gave me a warm greeting and turned her attention to Cotton. Once in the grooming room, Kinjo devoted herself to my dog, asking specifics about how I wanted the cut and trim. 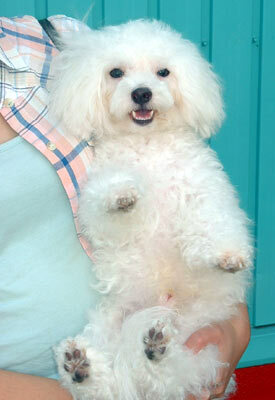 Her three years experience with OPF showed, and Cotton looked superb when the grooming treatment was over. OPF Hanby Store is close to the Camp Foster Kitamae Commissary Gate on Highway 58. Exiting Camp Foster, turn right and head toward Kadena. OPF is at the major intersection where Camp Foster ends. Look for the Castle Bakery; when you spot it, OPF is close by. Their telephone number is 098-936-7773. Most of the staff speaks English. OPF Main Store is located in Naha’s new Omoromachi area. Heading south on Hwy 58, turn left at the first traffic light after the Aja overpass. OPF Main Store will be on your right side right after turning. A Lawson convenience store is a good landmark at the intersection. The telephone number to the main store is 098-861-7744. OPF also has a Japanese language website at www.opf.co.jp.